"For months, domestic issues were squeezed from the media agenda. Labour's opponents could easily define them in three ways - Remoaners, hopelessly divided and led by an unelectable extremist...If May hadn't called this election, that would probably still be the narrative." 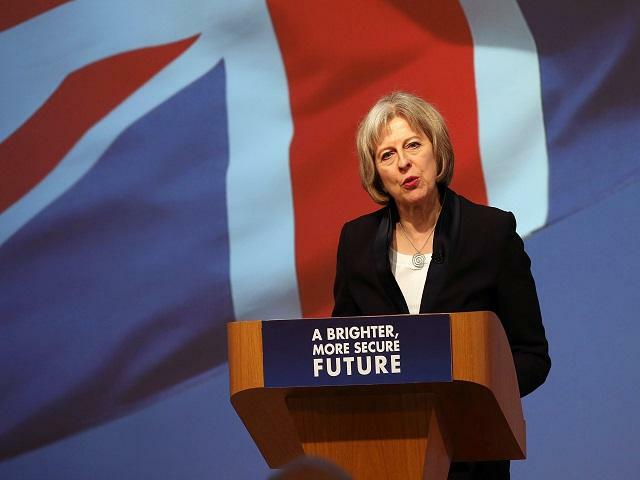 The Prime Minister should count her lucky stars that elections aren't determined by manifestos. After dominating the last week's news cycle, their effect threatens to change British politics. Labour have enjoyed their best week in years, while yesterday's Tory launch seemed to achieve nothing besides generate criticism from both left and right. Although the overall result is rated near-certain, Betfair markets have certainly followed this trajectory. This morning they are down to [22.0] for Most Seats - less than half of the [50.0] available last Thursday. More significantly, their odds to reach various targets have steadily fallen. For example, the 30.01-35% band in our Labour Vote Percentage market is now favourite at [2.9], rated 35% likely compared to just 8% earlier in the campaign. Though the shift has been less dramatic, the same trend can be seen across all the various seat total markets. In doing so, they are merely following the polls which, while still one-sided, have definitely closed up. Yesterday's surveys revealed Tory leads of 13 and 15% - the latter showing Labour's highest vote share in months. It is hard not to conclude that the manifesto is partly responsible. Not only did it energise their base and earn praise from some of Jeremy Corbyn's harshest critics, but it changed the subject. So long as the Westminster media were talking about Brexit, Labour were in an impossible situation. Opposing Brexit is electoral suicide - especially when most of your MPs represent Leave constituencies. They never have much to say about nationalism - hence why they were usurped by the SNP in Scotland - and this dynamic always favours the Tories. For months, domestic issues were squeezed from the media agenda. Labour's opponents could easily define them in three ways - Remoaners, hopelessly divided and led by an unelectable extremist. If May hadn't called this election, that would probably still be the narrative. Yet however much she wanted to spend six weeks talking about strong and stable leadership, in the face of attempts to sabotage Brexit both here and on the continent, the modern news cycle needs more. It hasn't even got a head-to-head TV debate to pore over. In the absence of anything interesting, Corbyn has seized the chance to put inequality, redistribution of wealth and nationalisation at the centre of the national political debate. Theoretically, it could even change the central question on the ballot paper from Brexit. If the public conclude that leaving the EU is inevitable, they might prefer arguing over touchstone issues like social care, schools funding, welfare cuts and tuition fees. Remember, there was no need for this election. May was three years away from an election the Tories were almost certain to win. Her small majority was occasionally a hinderance but unlikely to prevent any major legislation. In terms of their ability to govern, it will make little difference. It's purpose was simply to crush Labour while at their weakest and create an enormous Tory majority. But what if that majority doesn't turn out to be quite so big? If they only win say 30-40 seats, it will not be regarded a great success. May's critics - such as the new editor of the Evening Standard - will blame her. Whatever one thinks of George Osborne, he knew how to write election-winning manifestos. That master of spin would never have allowed the 'death tax' phrase he threw at Labour being applied to the Tories. Divisive policies like cutting free school meals are meant for budgets, not general election manifestos. They would have avoided a row about fox hunting like the plague. Consequently, there is a real danger that the final three weeks of the campaign go Labour's way. While the Tories struggle to quell those controversies, Corbyn will continue to attract huge, spontaneous audiences around the country and their representatives will remain unapologetic for their radicalism. The likes of Barry Gardiner, Rebecca Long-Bailey and Angela Rayner are proving much more effective in interviews than the Labour team of 2015. Or is there a cunning plan to energise anti-Corbyn voters? There is another perspective regarding the efficacy of campaigns. Could it be that, by stealing Labour ideas and popularising this 'Red Tory' line, May is actually softening up core Labour voters wavering about Corbyn? In this scenario, Labour close the gap over the next week or so, thus creating doubt about the result. Then in the final days, Tory warnings about a 'coalition of chaos led by Corbyn' will resonate, generating a decisive late swing. This is plausible, but not without risk. Assuming she wins, the next five years could be coloured by Tory divisions over the agenda May laid out yesterday. Particularly the aspects of so-called 'Red Toryism' - energy caps, councils seizing private land for house building. Whereas for the past decade they could blame the EU for mass immigration, the Lib Dems for taming their conservative instincts in coalition or Labour's profligacy for spending cuts, the buck-passing era will now be over. Labour in contrast, may be grateful for an extra two years to recover. Jeremy Corbyn will be 72 by 2022 and surely replaced by someone younger. It is quite plausible that in six months time, a more electable, baggage-free leader is ahead of a divided Tory party in the polls, as they struggle to deal with Brexit. At the start of this campaign, I wrote that Theresa May's honeymoon period was coming to an end, and the polls would stabilise. That the Labour vote would be more resilient than those predicting a wipeout claimed. If poll trends are to be believed, both seem to be coming to pass already. From [4.0] when advised, they are now just [2.34] (43%) to win 178 or more seats. The question now is whether the momentum can be sustained. If so, restricting the Tory majority to below 100 is realistic and will be regarded as relative success for Corbyn's Labour. Things change very quickly in politics and eventually, we may look back at the last week as the turning point.